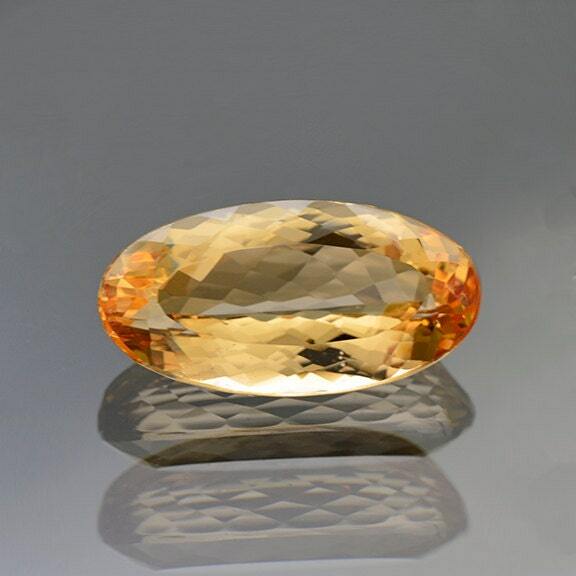 This is just a gorgeous Imperial Topaz. The color is a golden color with a hint of apricot on the ends. 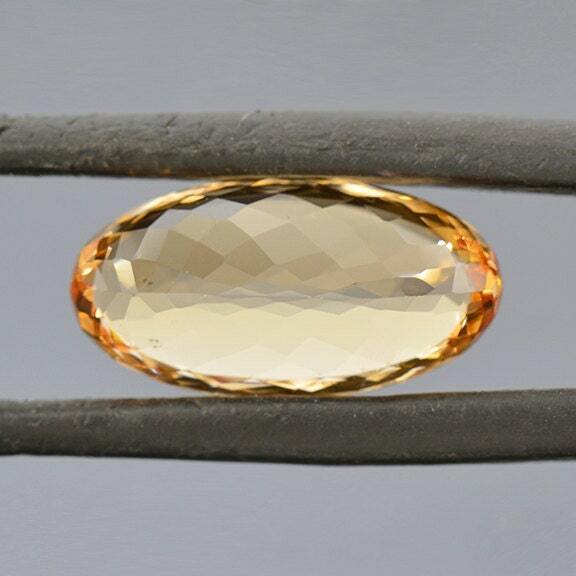 The clarity of this stone is exceptional! 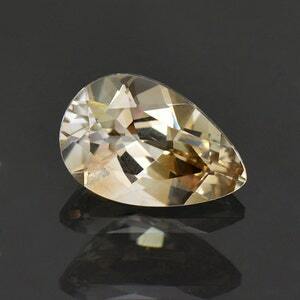 Perfectly clean Imperial Topaz is extremely rare and most of the faceted stones on the market have inclusions, unlike this exceptional stone which is just water clear. This piece was mined over 30 years ago and is from some of the clearest crystal pockets that was ever found. The stone glitters beautifully in the hand and will make an exceptional piece of jewelry. 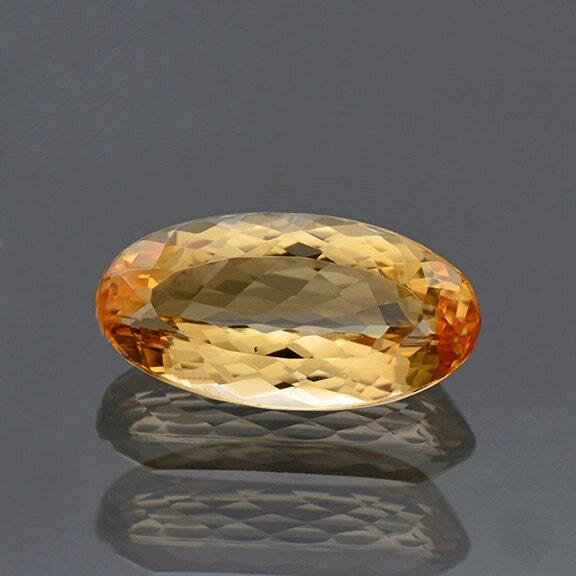 Ouro Preto is the only locality in the world for this incredible Topaz. 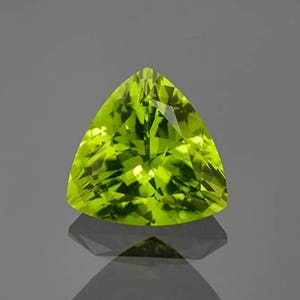 “Imperial” Topaz has its origins in Russia where the first mines were found and used up in the time of the Czars, hence this incredible stone was granted its nobility fit to “emperors”. Enjoy! 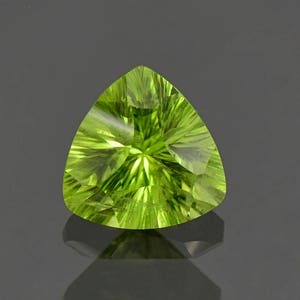 Gorgeous Lime Green Peridot Trillion Gemstone from Ethiopia 2.61 cts. 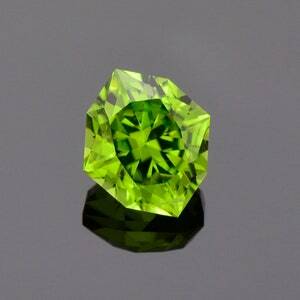 Beautiful Lime Green Peridot Gemstone from Pakistan 3.40 cts.